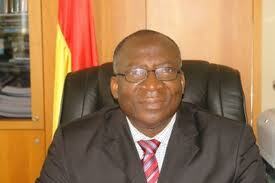 The Director –General of Ghana Civil Aviation Authority (GCAA), Air Commodore Kwame Mamphey (Rtd.) says running an airline business is a “high risk and non-profitable venture” that needs courage and determination to run it. Air Cdre Mamphey was speaking at a forum organized by the GCAA in collaboration with the League of Aviation Journalists Ghana (LAJG) to sensitise media personnel on the need to report accurately in the aviation industry. The forum, a first of its kind under a general theme “Ghana Civil Aviation in perspective” forms part of the GCAA’s effort to open the aviation industry to the public through the media. Air Cdre Mamphey said it is in the interest of the airline operators to ensure that there are no accidents because anytime that happens it affect the industry tremendously and that particular airline stands the risk of folding up. He said the GCAA had been facing challenges with the international airlines in the payment of bills but they recently signed an agreement with the International Air Transport Association (IATA) to collect the debt for them.